Angel families stormed into House Speaker Nancy Pelosi’s office again Wednesday with calls to secure the U.S. southern border, but they were turned away yet again. 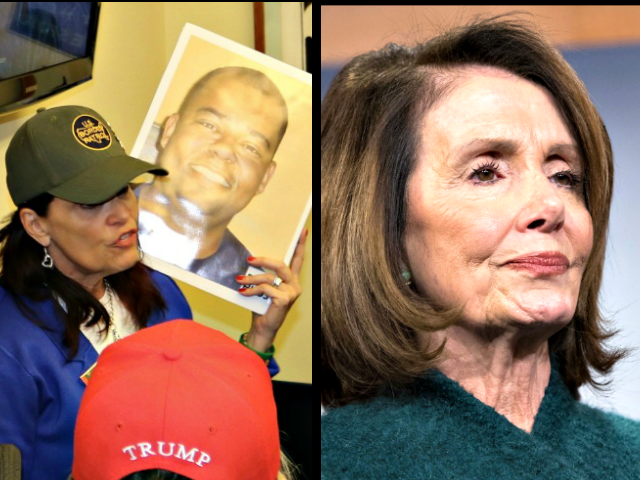 Americans whose loved ones have been killed by illegal aliens flooded into the office with questions as to why their many requests for meetings with the Speaker went unanswered. Front office staff had little to offer in the way of an answer and wouldn’t give an idea of when so much as an aide would be available to meet with the families. Angel moms pointed again to the walls and doors keeping them separated from Pelosi and her staff despite Pelosi’s claim that a border wall is “immoral.” She additionally called border walls “expensive, ineffective, not something that people do between countries.” She said this despite the many countries throughout the world, including the United States, that have erected walls along their borders. 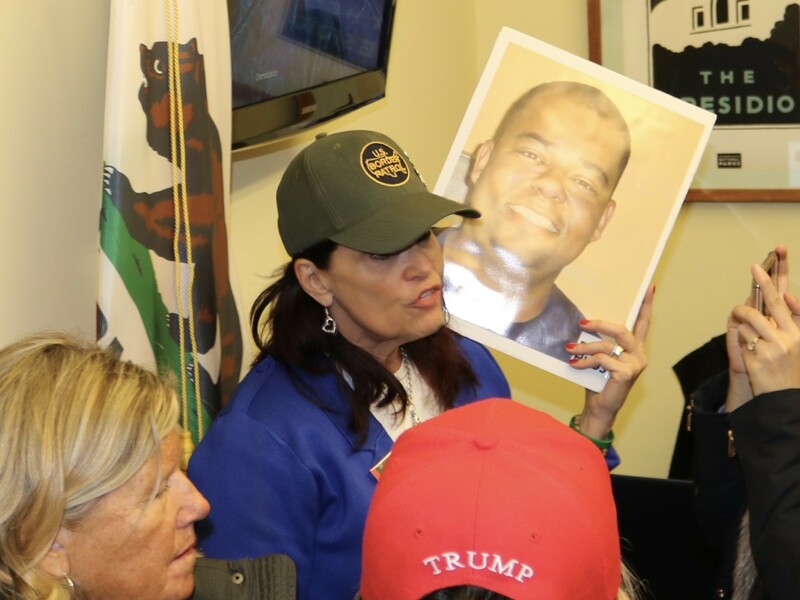 Some of the angel families inside Pelosi’s office Wednesday titled the border wall they were advocating for “America’s wall,” not just the president’s wall. Democrats have previously voted for and called for a barrier at the southern border, but have largely opposed funding any additional border barrier under President Donald Trump. Angel dad Don Rosenberg held up a photo of his son and let her staff know his son died in Pelosi’s district. “She, in her 31 years in office, has done absolutely nothing to stop illegal immigration,” he said of Pelosi. Two Capitol Hill police officers then entered the office to speak with Pelosi’s front desk staff. Several more officers arrived outside the Speaker’s office during the time the crowd of angel families was there. Angel families held up photos of their dead children and family members. The group was so large that not all could fit inside the office and flowed out into the hall. “Build that wall,” came calls from the crowd. Others questioned why Pelosi cares more for illegal aliens than American citizens. One asked if a rod shoved through the head of a 17-year-old by an illegal alien was “immoral,” or if it mattered to her. The angel families rallied with current and former legislators and pro-border security and pro-Trump groups at a press conference outside the Capitol building before marching over to Pelosi’s office with calls to secure the U.S. border.